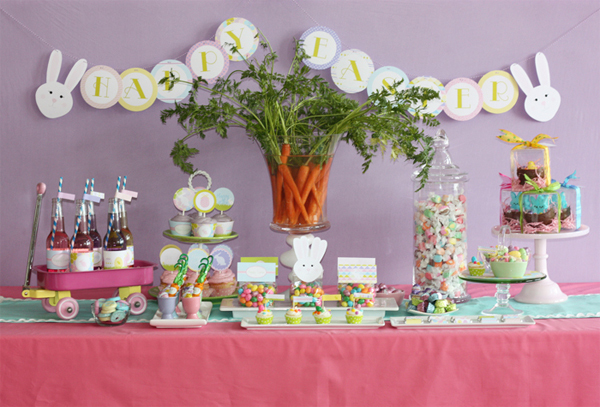 Wants & Wishes has a ton of really cute ideas for an Easter decorating party or even an Easter egg hunt. But the what I am most in love with is the centerpiece that they used on the dessert table. 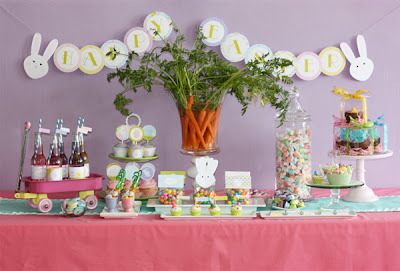 It wasn't until I saw this centerpiece that I fell in love with the whole carrot trend. If you have a farmer's market near you or a healthy patch of carrots in your garden it will be easy and inexpensive to make. You can see the rest of the party ideas HERE. You know how to pick em ;) lol Great idea! 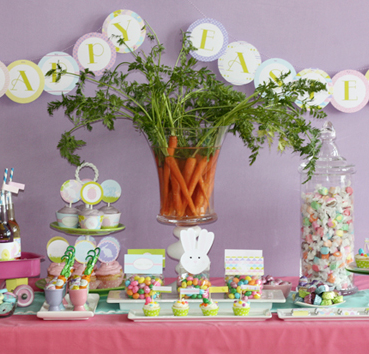 what a wonderfully whimsical table! love it! wow, great centerpiece and great tablescape too. that is pretty darn cool, i also love that little wagon...i used to have one of those. oh to get my hands on one by saturday. Let's make that in our room in Kentucky. Wait. Will we be in the same room? I want to go to Kentucky with you =I'll bring the jelly Beans. I love the carrots in the vase. So clever and simple. We can discuss this more in Kentucky! Baby magic lotion smells the best.